Stand out from your competitors with a one-of-a-kind, stunning, custom real estate website design! If you care about your real estate website’s further performance and visibility in search engines, you must question your web designer about what exactly they do to make your site SEO-friendly. The fact of the matter is that 99% of our customers who approach us after working with so-called ‘real estate web design experts’ (quite often a very well-known companies) have not only NOT SEO-friendly websites but also sites that hurt their search visibility big time! Here is how we’re different. Our web design team works in conjunction with three other vital teams: front-end and back-end development teams and SEO team, each of which exclusively specialize on their realm of expertise within our proven real estate solution. When you trust your real estate website’s development to us, you can rest assured that every SEO-related aspect is taken care of by our dedicated team of experts. Unfortunately, vast majority of real estate websites on the web are not created with lead generation in mind. In fact, majority of the realty sites nowadays offer extremely poor user experience that directly impacts conversions and eventually lead to lower amount of generated leads and smaller revenues. Due to this inability to provide visitors with engaging and interactive experience, visitors shift to using platforms like Zillow and Realtor. These companies have quickly realized that user experience is the key for a successful lead generation. You may ask, but how you can compete with such giants and their multi-million dollar budgets? The answer is simple – we have a proven real estate website design solution that we’ve developed over the years and successfully implemented for many of our customers to convert more of their visitors into customers without them needing to spend a fortune. Your website is not just a face of your company. It is a 24/7 concierge that, in theory, is supposed to guide your visitors in a right direction to help them get answers to their questions thereby facilitating a transaction. However, in reality, it seldom works that way, which often results in a transaction being lost. The main reason for that lies in a web designer’s fundamental misunderstanding of your ideal customer’s journey as well as unwillingness to put in the time necessary to build out the proper website architecture supporting that journey. Sadly enough, nowadays vast majority of real estate sites are complete cookie-cutters that lack authenticity, engagement, guidance and clear purpose. With our team of UX and UI design experts you’ll get a stunning website with your customers’ journey and your goals in mind, which will transform it into a powerful, 24/7 sales representative for your business. It may sound funny but there are still enormous amount of unresponsive websites on the web. Companies are losing potential customers every day because their sites are either not compatible with various devices that’re used by users or impossible to navigate due to absence of proper responsive design. Many so-called ‘web designers’ don’t even bother after site development to thoroughly test its responsiveness on all the possible devices and compatibility on all the major browsers. It’s hard to believe that it’s happening, especially with that huge shift from desktop computers to all the portable devices, but it’s a fact. Fortunately, with REB you never need to worry about it. Our web design team will skillfully develop a responsive real estate website fully compatible with any device and major browsers. This will bring an excellent experience to your visitors. Being able to become a go-to source for local information can quickly position you as an industry expert and differentiate your company from your competitors. However, how could you become that go-to source for local information? Well, this is where Real Estate Bees’ website development division comes in. Over the years we’ve found out that content-rich sites that provide quality information about local community become authorities in their fields. Becoming an authoritative figure in your local market fundamentally transforms your company’s positioning and perception making you a seek-after industry expert. To get to that level requires you to have a site with properly structured content strategy. 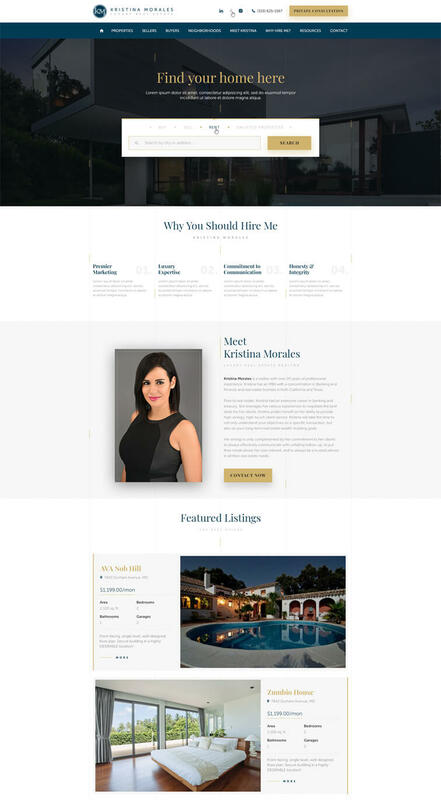 At REB we’re all about creating a content-rich real estate websites that will help you become that coveted industry expert figure in a long run.